The cardboard kits packed in with Nintendo Labo are far from indestructible. Shortly after the release of the Toy-Con: Variety Kit and the Toy-Con: Robot Kit, Nintendo launched a replacement parts service ranging from reflective stickers to entire packs of cardboard. 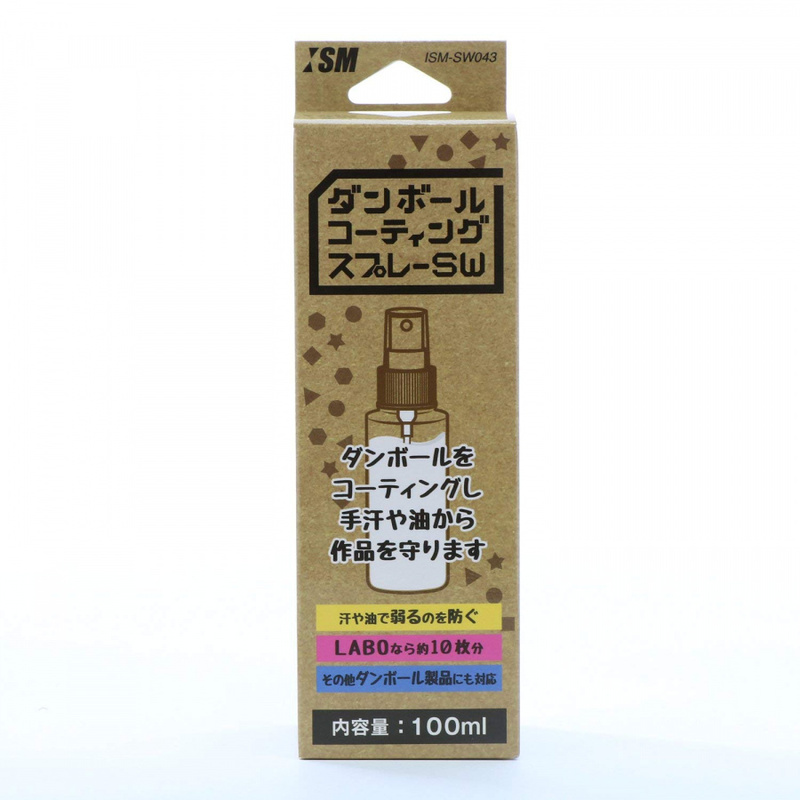 Following the recent announcement of the Toy-Con: Vehicle Kit, Japanese accessory maker ISM has now revealed a new product, marketed for use with Nintendo Labo. It’s a cardboard coating spray that will protect your creative constructions from sweat and oil. Being a sealer spray, its use is not necessarily limited to Nintendo Labo exclusively. You can spray it on whatever you want (not that we personally recommend this). It’s available for pre-order from Amazon Japan for a small sum and will be released on 10th August. How is your cardboard holding up? Would you be willing to resort to a bottle of spray to prolong the life of your cardboard creations? Have you bought one of the Nintendo Labo kits yet? Tell us below. Not a bad idea. Wonder how well it works though. That looks like one of those items they would sell in an adult vending machine in Japan. I can use RJ Clear Lacquer to protect my LABO. Only a matter of time until third-party sealing sprays start bricking your cardboard. "Only a matter of time until third-party sealing sprays start bricking your cardboard"
@Not_Soos sogging your cardboard ? This problem is kinda why I wouldn't want that new Labo vehicle kit. It's like why can't they just release a real racing wheel? When you are spending $70 it's like might as well get something that isn't cardboard for that purpose. The flight stick is also like "why can't we just have a real flight stick or something that isn't cardboard." I thought the first two kits were cool for their unique actions but with this vehicle kit it is literally just cardboard versions of common 3'rd party accessories. To show you the power of Flex Seal, I ripped this cardboard piano in half and repaired it with nothing but Flex Seal! @JayJ Because it would be too big and expensive if it's plastic. @Rocketjay8 I beg to differ. By the time you set it up the wheel takes up about as much space as a plastic wheel would have, and while a top quality wheel might cost twice as much there is a lot of cheaper options out there around $70. @JayJ For me, building it is half the fun. 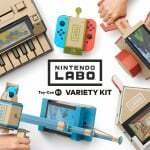 I'm very interested in the Labo vehicle kit, but I wouldn't be at all if it were pre-made plastic accessories. 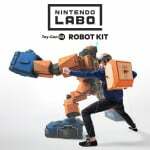 @Ogbert Eh I got over the building gimmick with the first Labo kit, and the robot kit seems like it would be a lot more unique for a project if I were really into it. I think all of the appeal in Labo was having a type of physical interaction that you would otherwise never really come across with video games. With the vehicle kit it's just a cardboard DIY controller accessory for $70. I woke up today thinking "this is the day when Mario Kart 9 gets announced!" This isn't quite the same, but I'll take it! @JayJ That's fair but I'd say if you're not into building things like that then this product just isn't for you. Building it, seeing how it all works and then being able to modify it and create your own things are very core to the idea of Labo. If they don't appeal that's fine but it just means the product isn't for you. I'm sure third parties will eventually make wheels and flight sticks and such once there are more games to utilise them. Can someone please tell me what flavor this is? The article failed to mention it, and I prefer my cardboard to taste like vanilla. @Rocketjay8 And 70$ isn’t too much for cardboard? @MH4 You know I keep getting so close to getting suckered by those infomercials....that stuff just seems sooooo good! Yes, I do think that Nintendo should charge $50 for Labo. However, imagine how big the box would be to have all of those Labo constructs are plastic and the amount of money that Nintendo would charge. @Rocketjay8 I don’t think cadboard is more than 20. Maybe 30 if the software is included as a download. Yes, the box would be bigger if the labo was plastic. But it would last, and a still a reasonable price would be 60$. Sure, Nintendo would charge 120 for a plastic one. Because, well, it’s Nintendo. Not even Nintendo can get away with selling a 120 dollar toy to the casual market. 🤦🏼‍♂️ There are no words. I got one from my kids at my birthday (45), it was the most amazing gift, and i really enjoy it, will get more, i must have them ALL!!! @N64SNESU certainly did as Labo is officially in their million dollar sellers list for software.